Widely recognized in leadership development and executive coaching. Helping successful leaders get even better. Marshall Goldsmith is a world authority in helping successful leaders get even better - by achieving positive change in behavior: for themselves, their people and their teams. Dr. Marshall Goldsmith was recently recognized as the #1 leadership thinker in the world at the bi-annual Thinkers50 ceremony sponsored by the Harvard Business Review. 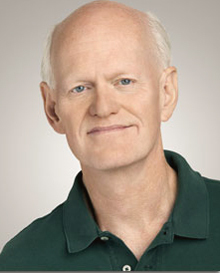 Marshall’s professional acknowledgments include: Institute for Management Studies – Lifetime Achievement Award (one of only two ever awarded), American Management Association - 50 great thinkers and leaders who have influenced the field of management over the past 80 years, BusinessWeek – 50 great leaders in America, Wall Street Journal – top ten executive educators, Forbes – five most-respected executive coaches, Leadership Excellence – top ten thinkers on leadership, Economic Times (India) – top CEO coaches of America, Economist (UK) – most credible executive advisors in the new era of business, National Academy of Human Resources – Fellow of the Academy (America’s top HR award), World HRD Congress – 2011 global leader in HR thinking, 2011 - Tata Award (India) for Global HR Excellence, Fast Company – America’s preeminent executive coach and Leader to Leader Institute – 2010 Leader of the Future Award. His work has been recognized by almost every professional organization in his field. Dr. Goldsmith’s Ph.D. is from UCLA’s Anderson School of Management where (in 2012) he was recognized as the Distinguished Alumnus of the Year. He teaches executive education at Dartmouth’s Tuck School and frequently speaks at leading business schools. He is one of a select few executive advisors who have been asked to work with over 150 major CEOs and their management teams. He served on the Board of the Peter Drucker Foundation for ten years. He has been a volunteer teacher for US Army Generals, Navy Admirals, Girl Scout executives, International and American Red Cross leaders – where he was a National Volunteer of the Year. Marshall’s other books include: Succession: Are You Ready? – a WSJ bestseller, The Leader of the Future - a BusinessWeek bestseller. The AMA Handbook of Leadership, The Organization of the Future 2 and The Leadership Investment – all three are American Library Association - Choice award winners for academic business books of the year. Over three hundred of his articles, interviews, columns and videos are available online at www.MarshallGoldsmithLibrary.com for viewing and sharing. Visitors to this site have come from 197 countries and have viewed, read, listened to, downloaded or shared resources over 8 million times.